If you’ve ever wanted brighter, more youthful skin, a facial from our day spa is the answer you’ve been looking for. With dozens of options to meet and exceed your needs, the pampering your face craves is just a phone call away. No matter what kind of facial treatment you’re hoping for, we have the perfect treatment for you. Deep layer cleansing, peeling, anti-germs steam, therapeutic, massage, pimple or blackhead removal with vacuum or pimple needle, applying acnes essence with ultrasonic treatment for deeper penetration, organic mask and eyebrow shaping. Features cleansing, peeling, steam, eyebrows shaping, facial massage, remove blackheads, high frequency treatment, ultrasonic machine treatment and cold mask. Recommended for normal to dry, pigmented skin. Helps to lighten all types of skin discoloration, using Top Beauty Whitening or 30 Second Beauty-White Up. Treatment includes cleansing, peeling, steaming, therapeutic massage, removing blackheads with a vacuum or pimple needle, high frequency treatment, whitening essence with ultrasonic for deeper penetration, whitening collagen gel mask, whitening cream and eyebrow shaping. This treatment includes cleansing, brushing, four steps of exfoliation by using four special essences to greatly and deeply exfoliate old surface cells, followed by steaming, extracting, and a face and shoulder massage. The treatments are followed by the Photo Rejuvenation Time Machine Treatment on face and eye areas, followed by collagen masks applied to the face. This treatment will help to increase skin collagen production by 50%, create more skin moisture and firm up the skin, and reduce wrinkles and melanin production, which cause brown age spots. It helps you feel younger and healthier. A facial featuring cleansing, peeling, steam, eyebrow shaping, facial massage, blackhead removal, high frequency treatment, micordermabrasion skin peel treatments, eye mask and collagen mask. A facial featuring cleansing, peeling, steam, eyebrows shaping, facial massage, blackhead removal, high frequency treatment, Bio-lifting Treatment with collagen, eye mask and cold mask. This anti-aging procedure provides a Botox-like-effect but with no needles, no pain, and no risk. This clinically proven four step treatment effectively reduces superficial lines and deeper wrinkles. Using collagen and vegetable filling spheres, the relaxing treatment plumps and redefines skin for a rejuvenated appearance. After just one session, up to 97% of wrinkles are visibly reduced with even more amazing results after the next three sessions. Treatment includes exfoliating old surface cells by applying mild papaya enzyme acid to break down the peptide links, followed by a peeling gel, extractions, and a specific face and shoulder massage, along with an individually personalized concentrated active ingredient essential and cream. This treatment is complemented by a lonithermie visage clay mask with electrodes placed on the areas of concern to increase muscle tone. This facial deeply penetrates products to rebalance, replenish and rehydrate your skin, as well as stimulate your skin for cellular renewal, boosting circulation and increasing firmness. A highly renowned intensive anti-aging treatment that hydrates, rejuvenates, tightens, and reconfigures the skin surface to reduce the visible signs of aging without any invasive procedures. Turn back time with this powerful antioxidant treatment that incorporates a vitamin C concentrate, algae biomatrix patches, and a thermal organic mud mask to reduce the appearance of lines and wrinkles. It also evens out the skin tone and illuminates the skin, restoring its youthful glow. This innovative, clinically proven treatment combines five peptides with retinol to mask all signs of aging after just one treatment. Lines and wrinkles are visibly reduced and skin appears plumper. Enjoy a deep layer cleaning, peeling, and steaming treatment featuring a therapeutic face and shoulder massage. 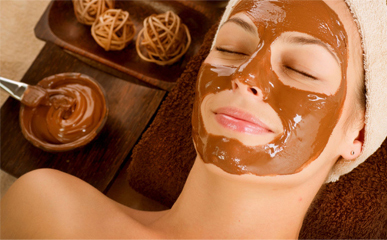 This treatment also features blackhead removal and eyebrow shaping. Whether you want to rejuvenate or refresh your skin or fight the effects of aging, you can find exactly what you need. Call now to learn more!It’s time to give your face the attention it’s been craving.